Valid on bookings made 16 Jan 2019 through 29 Jan 2019 for accommodation that shows the option to enter a coupon code on the booking form. Valid on bookings made 10 Jan 2019 through 23 Jan 2019 for accommodation that shows the option to enter a coupon code on the booking form. Dreaming of the beach? Get 5% off in Da Nang. Valid on bookings made 12 Jan 2019 through 18 Jan 2019 for accommodation that shows the option to enter a coupon code on the booking form. coming to metropolitan was a very nice experience for me .When we come from a tiring flight the fist thing we want to do is take a shower and rest!! and the check in girl was so friendly and received me with a big smile that gave an immediate good impression of the hotel. She did the check in in 3 minutes and promptly showed me where my room was.Rooms are also large and comfortable.security also found my lost camera. I HIGHLY recommend this hotel !!!! Nice clean hotel. No complaints. There was no Continental Breakfast which was disappointing but besides that everything else was really nice. Staff was great, elevators were extremely slow, but room was very clean, and the hotel was very pleasant. Thanks to Agoda.com’s point system, I’ve saved on this room and that’s not even to mention the best among other sites price to begin with. I needed this hotel to stay overnight before my cruise, so this location is very good for cruisers. I actually walked across the long bridge (didn’t have much luggage) to the port and enjoyed the spectacular view. (takes about 30-40 mins, depending on how many pics you take on the way). The parking wasn’t free so I used the public parking on the north-east side from the hotel ($10 a day). The check-in was amazing fast. While others were staying in line to do it the orthodox way by talking to an actual person and everything, I simply slid the card I used to pay for the room on the agoda.com and it immediately found my name, asked for smoking/non-smoking, 2 queen/1 king bed and spit 2 key cards. 15 seconds check-in. 5 of them took me to understand that it’s for real that easy and efficient. Check out is same way. Bed is nice, flat-screen TV is tight, and all other amenities are basic, functional and just OK. I didn’t manage to open my balcony door though. I assume they locked them to prevent drunk people from falling after partying at South Beach. Had a wonderful stay, the hotel exceeded all expectations (great location, very friendly staff, kids friendly heated pools and great in room dining). Great hotel! Reasonably priced! Nicely decorated, and very clean. Helpful staff. We are definitely staying here again. An added bonus was the hotel loans out bicycles to ride around town. I cannot find any cons. Not a luxury place but stayed in several Rosen properties that has the best value for your stay because they do not nickel and dime their customers. There is no resort fees, free parking and best of all the hotel cleaniness . Every Rosen property I have stayed at this past month had clean bathrooms, maintenance of facilities are top notch “kosher”. The staff is helpful and will do their best for you to enjoy your stay. Location of all their properties can not be better because they have access to all areas near interstate. Keep up the great work and I will always come back when I am in the Orlando area. This was as close as you could get to the entrance of universal studios and they also had a free (limited) shuttle service to the park. The hotel looked recently renovated and much newer than the hotel next door. We appreciated the coin operated laundry and rental car drop off at the doorstep. Parking was a little pricey though. The fire feature in the courtyard was beautiful at night. We really enjoyed our stay at Monumental Movieland. It was really affordable and we were expecting a seedy hotel but it's not. It's kid and family friendly. A lot of shops, eat all you can buffet, restaurants, and fast food around it. We stayed in this hotel for 5 nights! And I must say the awesomely well decorated suite rooms, friendly staff and cleanliness of the room and hotel made us so happy to be there! And 5 nights seriously wasn't enough! The hotel has 3 separate buildings and 2 pools! Just 5 mins walk to the famous Miami Beach that is so convenientlt located! There's even a 24 hours mini mart/deli across the hotel for your late night stomach fulfills! All the staff was so helpful and friendly except for a staff named, Arlene? If I got that right. She was the only staff working there that had a sour face and was so unhelpful! That didn't quite make my day! But the other staff came to the rescue in all our needs! Other then Arlene who was rude and mean (what makes it worse is she works at the front desk,the first face you see when you come) spoilt the image of the almost perfect hotel to stay in Miami ! The rest was a perfect great vacation !!! Will for sure stay at Riveria when we happen to head there again !! Great hotel next to the beach with good solid service. The building is not new but it’s been renovated nicely. The rooms are clean and cute decor. It’s the high end feel but more causal and vacation feel. We’ll be happy to go back anytime. Our stay was just perfect and had a great time. The hosted Rubber Ducky party with DJ Borris was amazing and a great end to our holiday. Close to airport, nice swimming pool, nice food service. It was nice. Housekeeping was in and out while we were away and didn't disturb any of our things. Always fresh towels for all of us. Danny at the front desk was awesome! One of the best customer service I've ever experienced. If you're going to be staying in Boynton Beach for over a week and don't want to pay $100 per night plus for a more upscale hotel, the the Inn is a good choice. There's nothing fancy about it, but it's not a run down remnant of the past last some low budget places. It's just off 95 so it's easy to get to and you can take Boynton Beach road into town is minutes. There's a swimming pool, laundry facilities and my room had a small refrigerator and a microwave. The best feature was the free breakfast included in the price. It had a surprising variety of food and beverage choices which would satisfy most travelers. The staff were pleasant enough and helpful which was satisfactory to me. So, if you're on a budget and need a value hotel for a long-term stay then the Inn is a good choice for you. Nice rooms with a mini bar/snack bar , tv, and stereo. 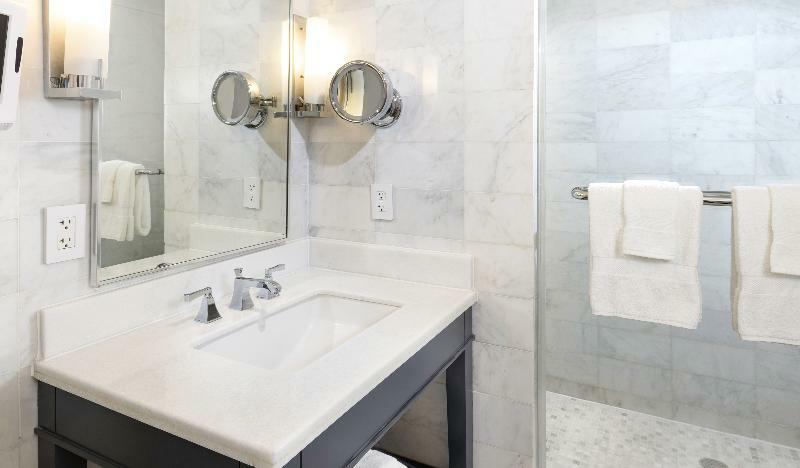 Nice bathroom with tons of towels and toiletries a comfy bed and large mirror to get ready. I booked a room at the Comfort Inn based upon reviews I had read online. I was not disappointed. My family and I were very pleased with the room accomodations. It was very convenient to the local attractions. It was easy to find from the airport. The staff was friendly, and they offered a nice breakfast. They also offered an excerise room. It would have been nice to have had a heated pool. I would and do plan on staying at the Comfort Inn on my next visit. No trip to United States is complete without a visit to the State of Florida. Agoda.com offers a superb selection of top quality hotels to meet your accommodation needs and requirements. The great Florida is teeming with tourist attractions and popular cities such as Orlando (FL), Miami (FL), Miami Beach (FL). Whatever your appetite demands, you can find in one of many wonderful restaurants around the State. Agoda.com is trusted by more than 3,500,000 travelers, booking accommodation in famous regions like Florida.